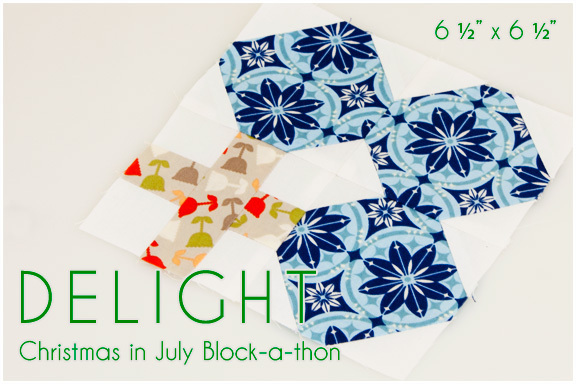 Today's the day that our block is featured on the FreeSpirit blog for the Christmas in July Block-a-thon! 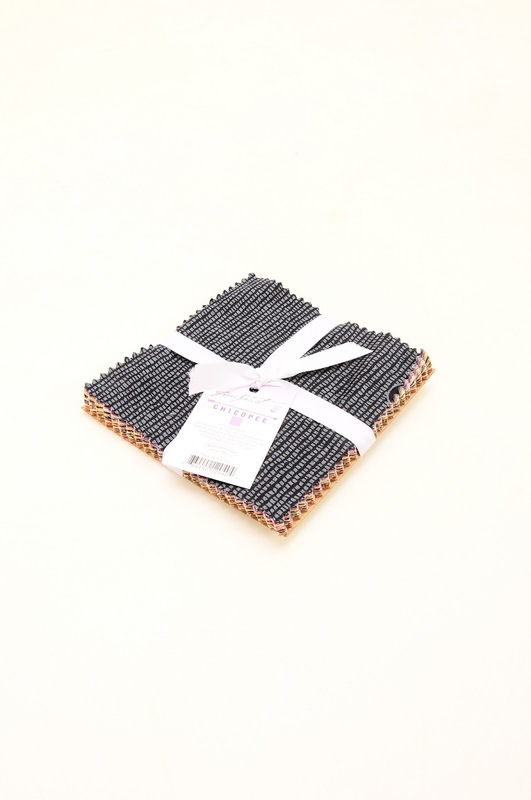 If you haven't heard of it, several of us bloggers were sent some mystery fabrics by Free Spirit to create blocks of all different sizes for a totally new kind of Christmas quilt. For fabric requirements for this quilt-along, look here. To make it exactly as the bloggers have, you will need a few fat quarters or about 1/2 yard of the fabrics, or of course you can use whatever fabrics you have in your stash! The tutorials for each block are posted on the FreeSpirit site, and today is the day for Block 11, my Delight block! Finishing at 6", this sweet little thing was made with two Grand Hotel fabrics and a white solid. Truth be told, I didn't know how these two would look combined, but I love how it turned out. August 13th – Final Quilt Reveal! Last but not least, Free Spirit has donated a Chicopee charm pack for us to give away! Comment here with prints you would use for Delight, and we will choose a winner at random and announce the winner on Monday, 7/30! 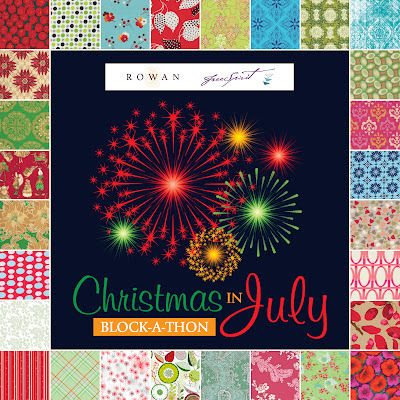 Then come on back on Friday, 8/10, to see Jocelyn's block for Christmas in July, the very last block before the quilt reveal.